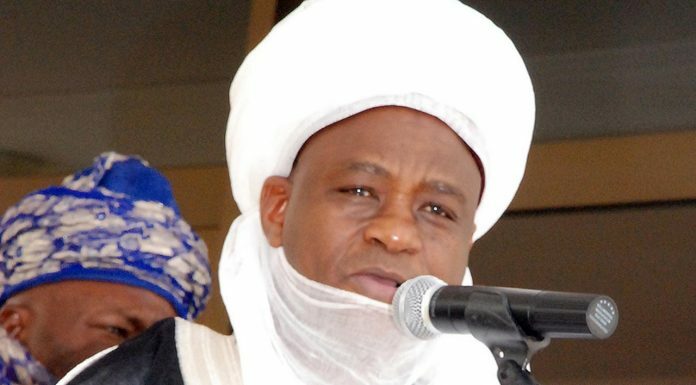 Sultan of Sokoto, Dr. Saad Abubakar, has charged Muslim organisations to work in harmony with one another towards propagating the teachings of Prophet Mohammed who placed much emphasis on peaceful co-existence. The first class monarch warned against divisions among Muslim organisations, saying Muslimsâ€™ togetherness had paid off over the years. Speaking at the unveiling of Nawair -Ud-Deen Society of Nigeriaâ€™s National Central Mosque, Abeokuta, Ogun State capital, on Friday, the Sultan said the foundation of the Mosque laid in 1984, should not be a source of worry for the delay, as a result of paucity of fund, but it should be accepted as a time allotted by Allah for its completion 34 years thereafter. The monarch said, â€œAs Muslims, we should belong to all the Muslim organisations. There should not be any division or any discrepancies of whatsoever, because we should consider ourselves first as Muslims before any other thing. â€œAnd that is what we have been preaching in the last 12 years. Alhamudullilahi, we have come a long way and we have seen the result of our being together as brothers and sisters in Islam. He, however, commended the resilience and commitment of the leadership of the society to have the Mosque project completed. Also, Ogun State Governor, Senator Ibikunle Amosun, saluted the tenacity of the leadership of the mosque and made a personal donation of N10 million towards the building project. In his own short remarks, registrar, Joint Admissions and Matriculation Board (JAMB), Prof. Ishaq Oloyede, admonished members of the Nawair-Ud-Deen society to bequeath on their children teachings of Islamic knowledge and values with a view to sustaining the religion. He equally insisted that only children with sound Islamic knowledge, moral and values would maintain such a giant mosque. Among prominent personalities who graced the occasion were the preferred governorship candidate of the incumbent governor, Hon Adekunle Akinlade, Speaker of Ogun State House of Assembly, Rt Hon Suraj Adekunbi, President of Muslim Ummah of South West Nigeria (MUSWEN), Alhaji Sakariyau Babalola, the Chief Imam of Egbaland, Alhaji Liadi Orunsolu, among others.